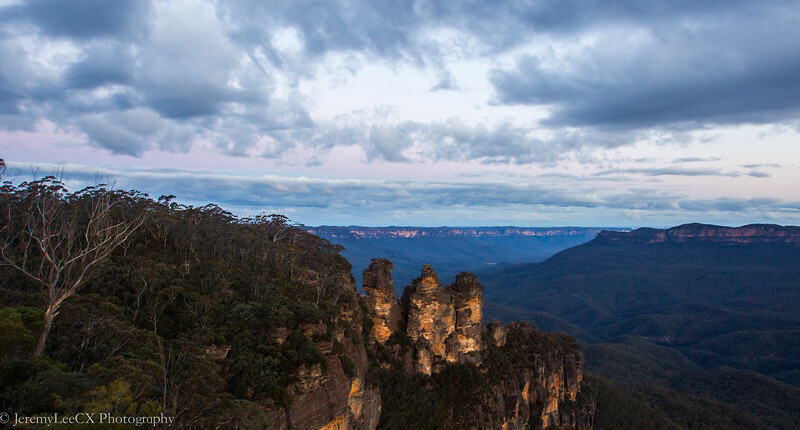 We arrived at Katoomba from Sydney Airport approximate 1700hrs and was able to catch the last moments of sunset at the Echo Point Lookout. 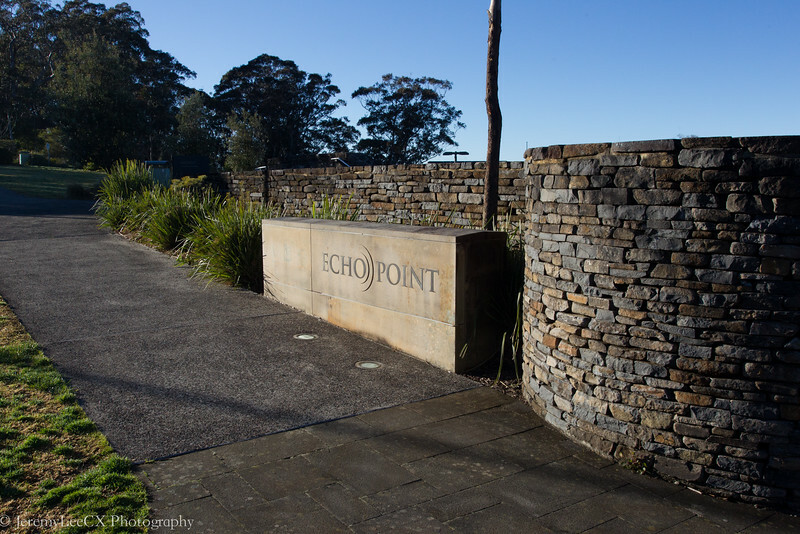 Note : The picture of the Echo Point Entrance was taken the next morning. 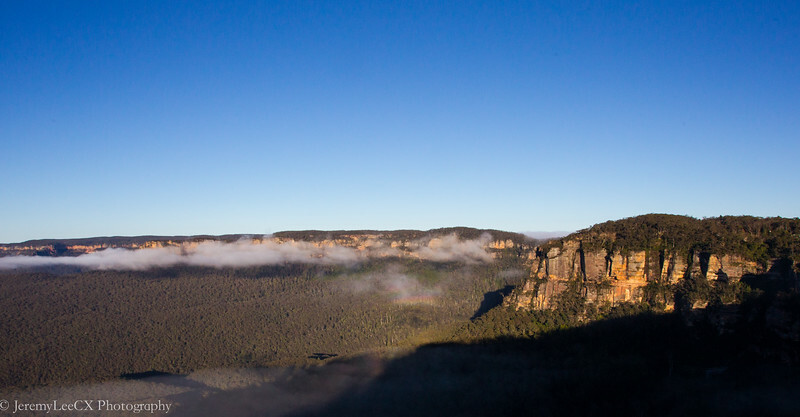 Another view from the Echo Point Lookout, this time it offers view of lush trees and greenery with the backdrop of mountain ranges and cliffs. Still unforgettable. 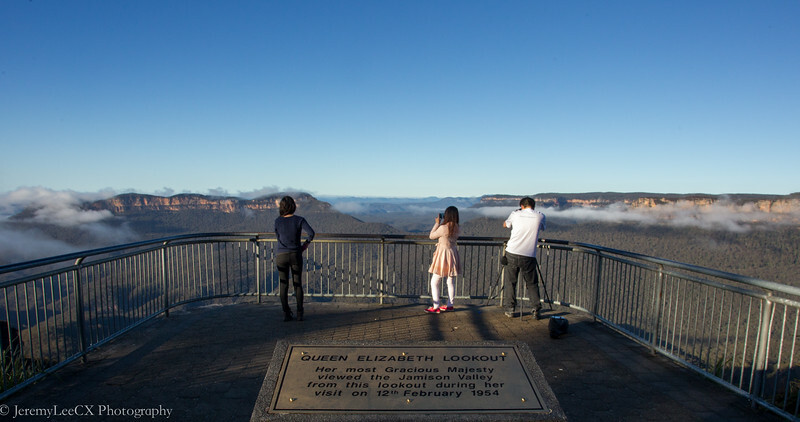 This lookout point which is just below Echo Point Lookout was graced by Queen Elizabeth in 1954 and offers a closer view of the 3 sisters and surrounding cliffs. 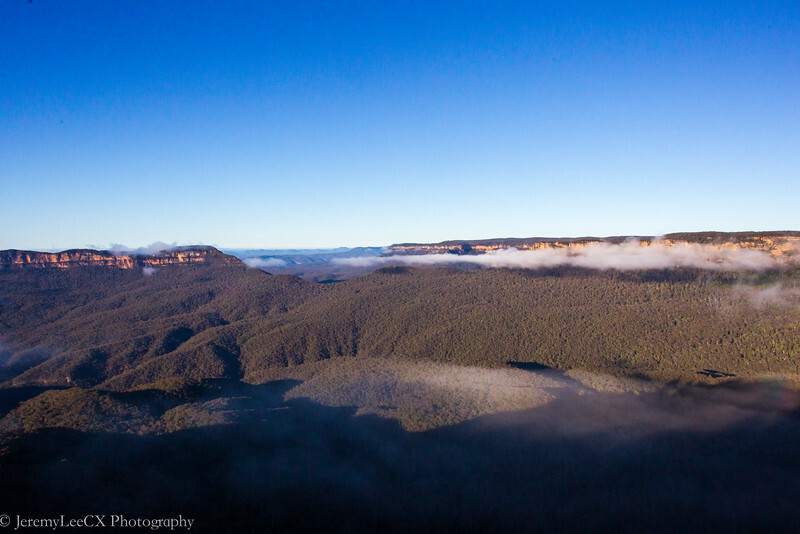 The wind here is much stronger too. Time to button up! 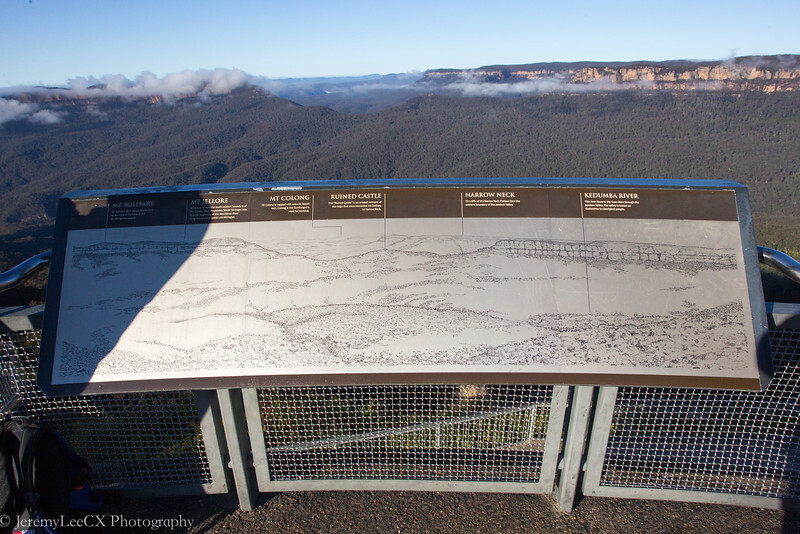 To end off the blog post, I added a slideshow below of a sketch depicting the panoramic area of the Echo Point Lookout. 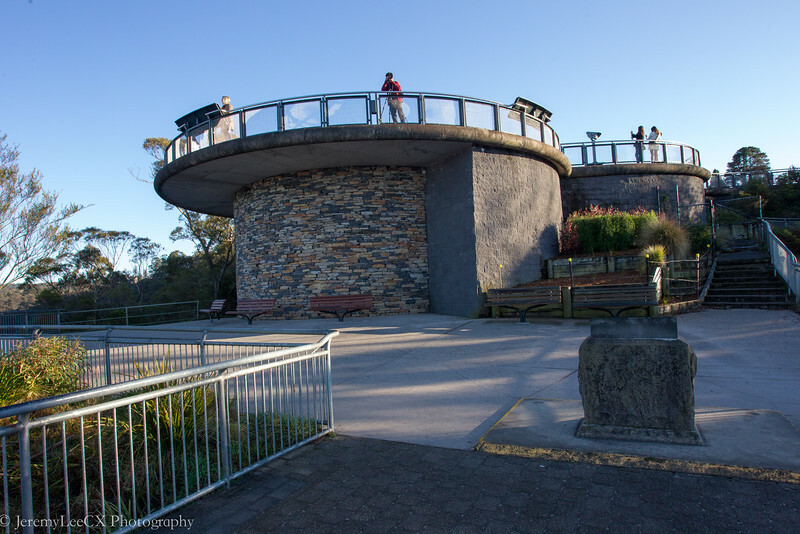 Complete set of the Echo Point Lookout is available at my Gallery : Click Here!